They're not all angels! So if they aren't cooperating, you might need one of these items. Constructed of durable water and dirt resistant nylon pack cloth for years of use. 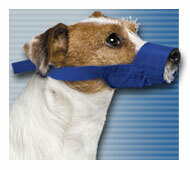 Adjustable straps with a durable quick-release plastic buckle for fast efficient muzzle closure. Use only for short periods of time. Measure near end of snout. 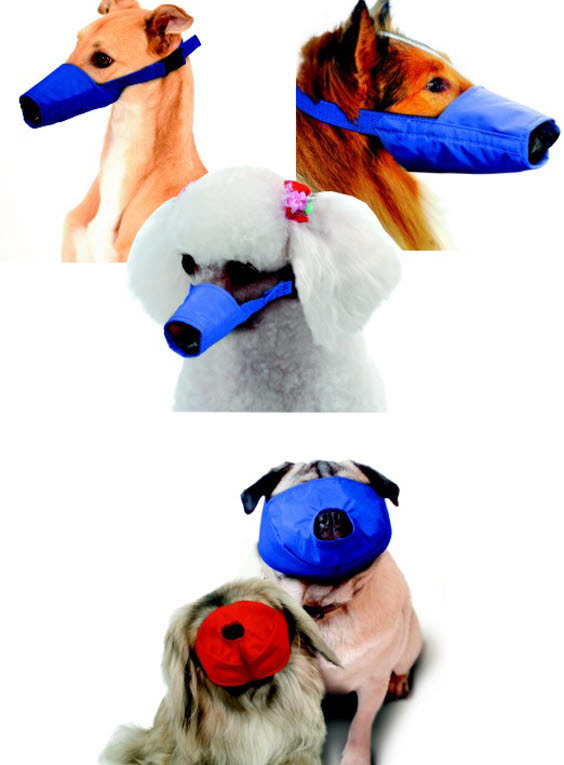 The muzzle should fit snuggly around the end of the animals snout. Unique strap color for quick size identification. Long-Snouted breeds: Shelties, Collies, Greyhounds, etc. Short-Snouted breeds: Pekingese, Lhasa Apso, Pug, and Boston Terriers just to name a few. 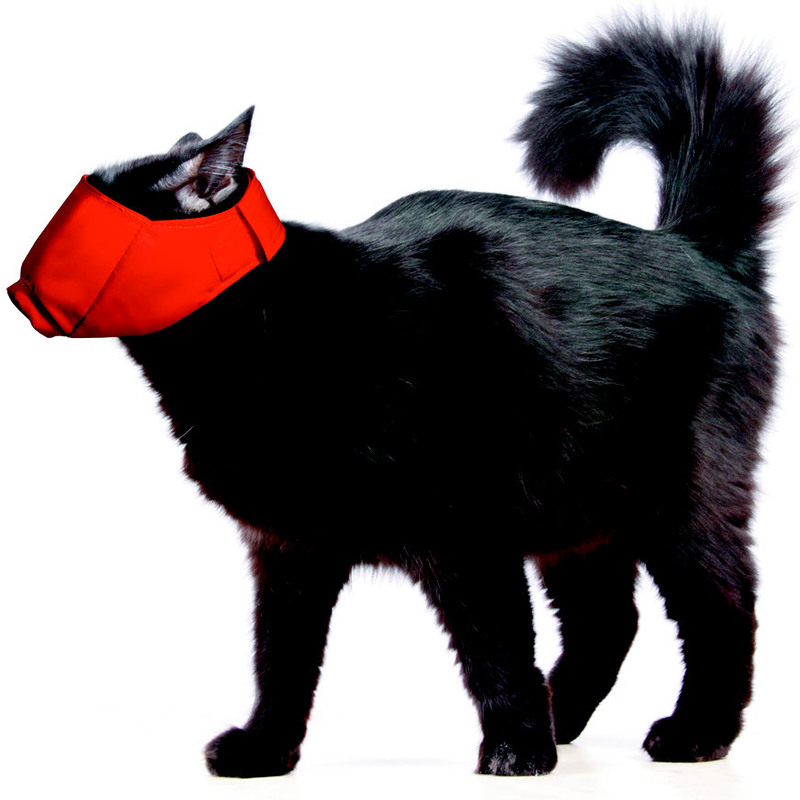 Form fitting nylon muzzles helps calm cats, reducing the risk of bites. 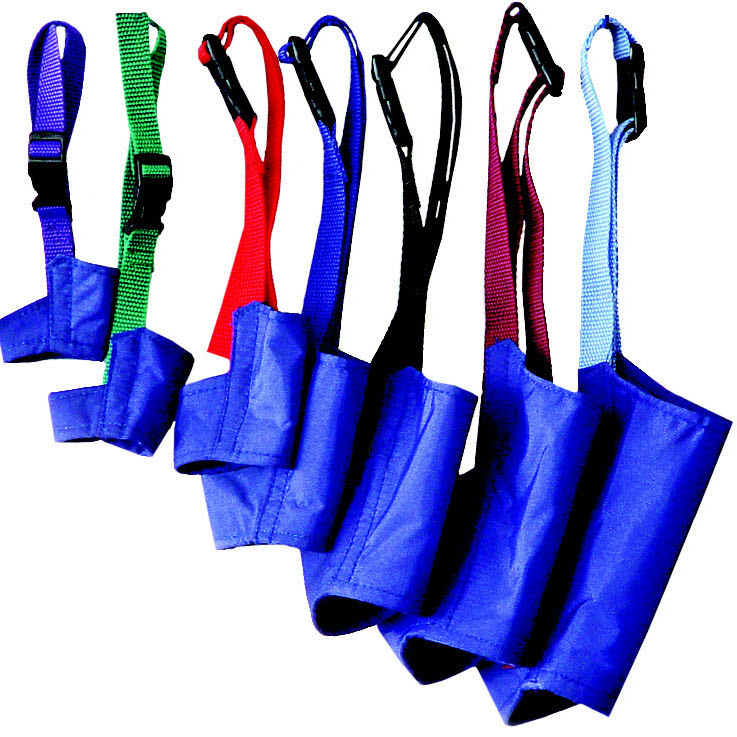 The hook and loop neck tab provides for quick closure and for fast restraint.